A major inhibitory neurotransmitter or brain chemical, GABA (Gamma-aminobutyric acid) imbalances are implicated in many movement disorders including strokes, dystonia, essential tremors, Parkinson’s disease, atypical parkinsonian syndromes, and Huntington’s ataxia. Walking and movement seems to help balance the GABA system. In dystonia, GABAA receptor binding studies have been relevant for unraveling pathophysiological mechanisms causing sensorimotor disinhibition leading to dystonic movements. Another article explains the connection between essential tremors and the brain chemical GABA. Essential tremors is a condition that has affected several famous people including, President John Quincy Adams, Robert Byrd, actress Katharine Hepburn, Gen. Douglas MacArthur, supreme court justice Sandra Day O’Connor, and musician Ozzie Osbourne. Recent evidence demonstrates brain chemistry and functional changes in the nervous system with physical activity like walking, running, and swimming. In a recent study, researchers looked at whether hand muscle contraction changes brain chemistry. Findings indicate yes and the research focused specifically on two hand muscles the first dorsal interosseous muscle and the abductor digiti minimi muscle. It is interesting to note that the Large Intestine (LI 4) meridian and the Small Intestine (SI) meridian run through the area of these two muscles. Large Intestine 4 is a common acupuncture point used for headaches and to decrease pain generally. Both muscles are also important in fine motor control and independent finger movement. The decrease in the corticospinal excitability and the excitability of the GABA-mediated inhibitory circuits of the primary motor cortex that project onto the corticospinal neurons in the first dorsal interosseous muscle may be due either to (1) the interaction between the activity of the lateral area of the first dorsal interosseous representation and the descending drive to the abductor digiti minim muscle, or (2) the decreased susceptibility of the primary motor area that predominantly projects onto the corticospinal neurons in the first dorsal interosseous muscle, which also plays a role in independent finger movement when both the first dorsal interosseous and abductor digiti minim muscles act together as synergists. There is a cyclical exercise / visualization that can be used with the hands. Sit or lay down relaxed. Open and close your hands, making a tight fist and then opening your hand wide as fast as you can for 10 seconds. Then relax as fully as you can for 10 seconds. Repeat the quick opening and closing of the hands for 10 seconds and then relax your hands, arms, shoulders, and body while you imagine a flow of nutrients from the digestive system, heart and lungs to the brain. Repeat a third time the 10 seconds of exercise and then for 10 seconds visualize the production and distribution of brain chemicals, perhaps you will see a factory where chemicals are being produced. This is a cyclical exercise where you exercise for 10 seconds and relax for ten seconds three times. You can make it even more cyclical by then resting for a minute and then do the on off exercises for another minute (10+10 x 3). Repeating this sequence (one minute exercising on and off plus the one minute of relaxation) three times every other day further trains the rhythmical nature of your body. To learn more check out the work of vascular surgeon, Irving Dardik. Constraint-Induced Movement Therapy is a type of exercise therapy where the stroke affected side of the body (arm or leg) are constrained or restricted from moving in order to force the use of the other side. Recent research begs the question of whether restraining the dominant side in healthy individuals to encourage the more difficult use of the non-dominant hand would also increase GABA levels. In this study researchers are looking for a way to assess or monitor stroke recovery but what if this exercise could also help increase GABA in other people with lower than normal levels of GABA? Every time we learn something new we change our brain. Spend 30 minutes learning a new skill or movement changes the GABA levels in our brain. 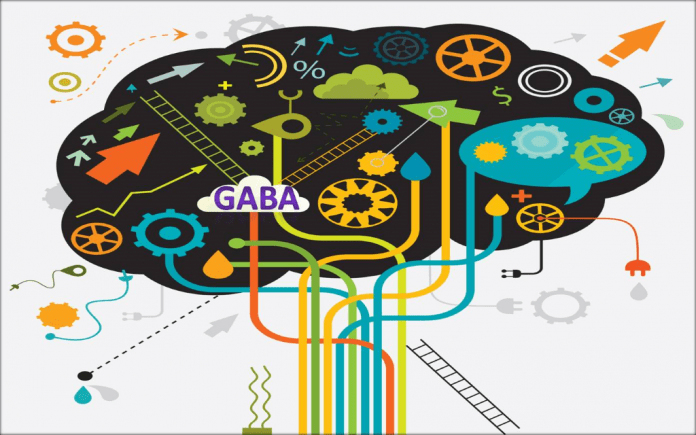 This is what researchers said about the GABA system and learning. This last study doesn’t suggest a movement or activity to improve GABA levels but rather looks at the relationship between lead and the GABA system development. People with GABA related issues could consider taking homeopathic lead or Plumbum Metallicum to improve healing in the GABA system. Lead (Pb) is a heavy metal that is toxic to numerous physiological processes. Its use in industrial applications is widespread and results in an increased risk of human environmental exposure. The central nervous system (CNS) is most sensitive to lead exposure during early development due to rapid cell proliferation and migration, axonal growth, and synaptogenesis. One of the key components of CNS development is the Gamma-aminobutyric acid (GABA)-ergic system. Do you have a movement disorder that could benefit from, well … movement?